2015 Friends & Family Sale! It’s that time of year again! 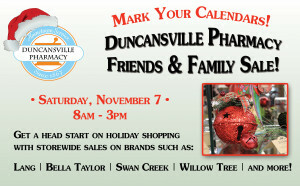 The Annual Duncansville Pharmacy Friends & Family Sale happens Saturday, November 7 from 9 a.m. – 3 p.m. Get started on your holiday shopping and save! Stay tuned for updates on our website and Facebook page announcing the specials we will be offering! 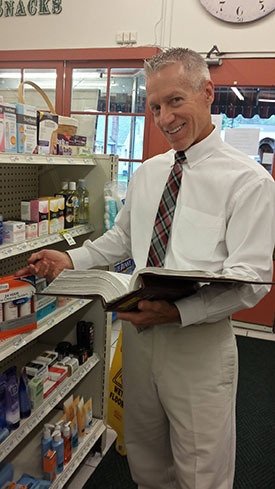 There’s something for everyone on your list!